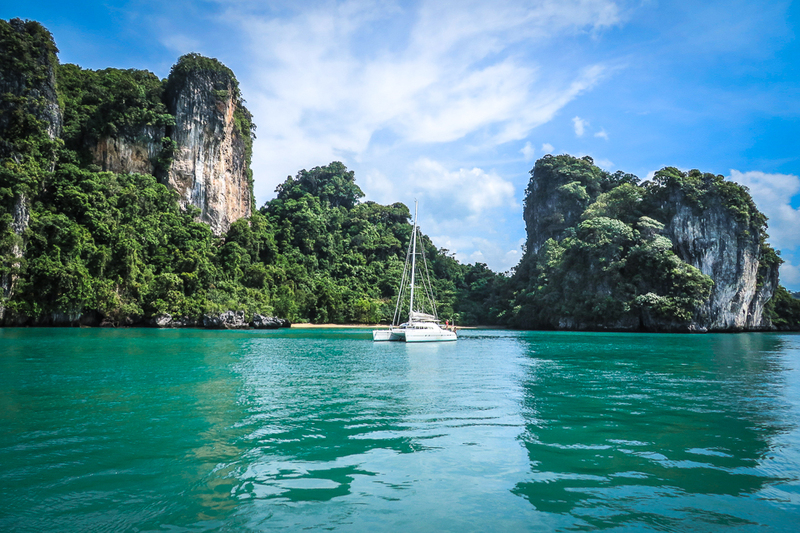 Geographical location of Phang Nga Bay offers good protection from the prevailing winds, making it a calm place for a luxury yacht holiday all year round. This beautiful area is a National Park famed for its spectacular scenery: more than 40 limestone rock islands jut dramatically from the sea and tower into the sky, forming some truly incredible sights. 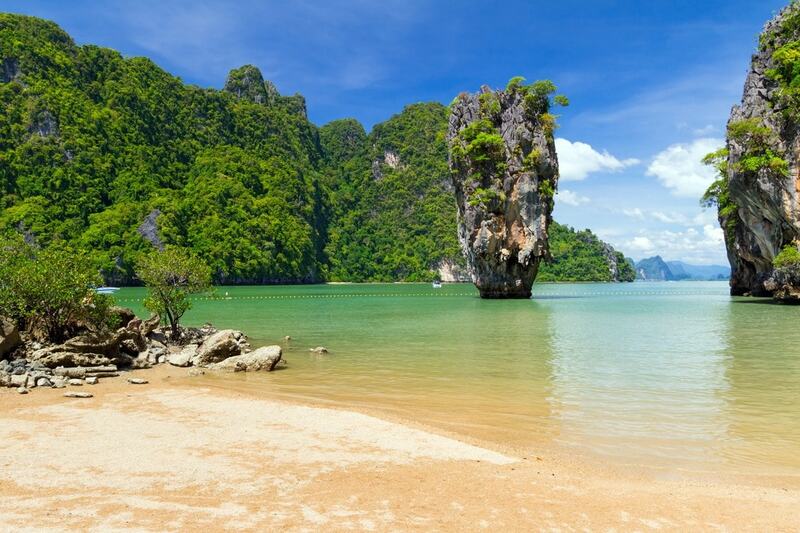 The first stop on your Phang Nga Bay day tour is one of those fantastic islands named Koh Hong. 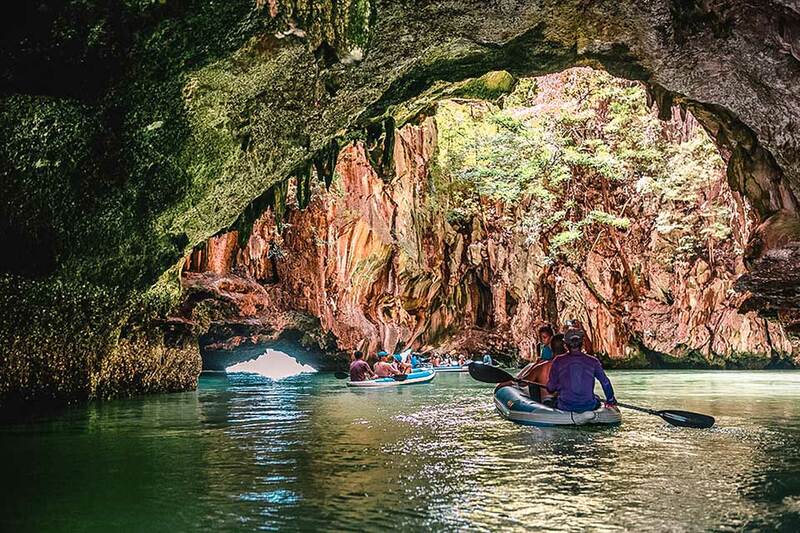 Get into a kayak and go exploring the secret caves with a Thai guide! 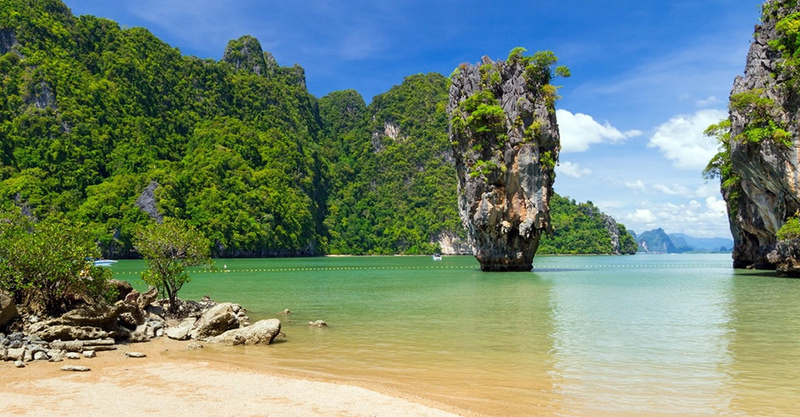 After the cave tour head on to the area’s most renown and popular landmark, the island of Koh Tapu (or James Bond Island). The island got its second name after being the location for the James Bond film “The Man with the Golden Gun”. You can either step ashore or enjoy the viewing from aboard your own boat as this is a popular tourist area. 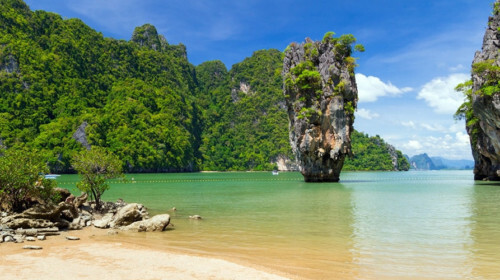 Take a cruise among the stunning rocks of the bay and stop for lunch and a relaxing swim at the islands of Koh Kudu or Koh Roi with a little beach and a hidden lagoon. 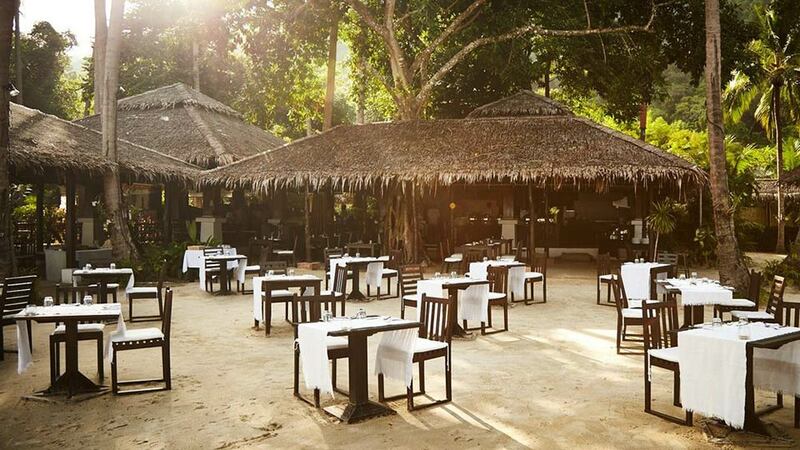 As an option, you can dine in the restaurant of the 5-star Paradise Koh Yao Resort with its own quiet beach. 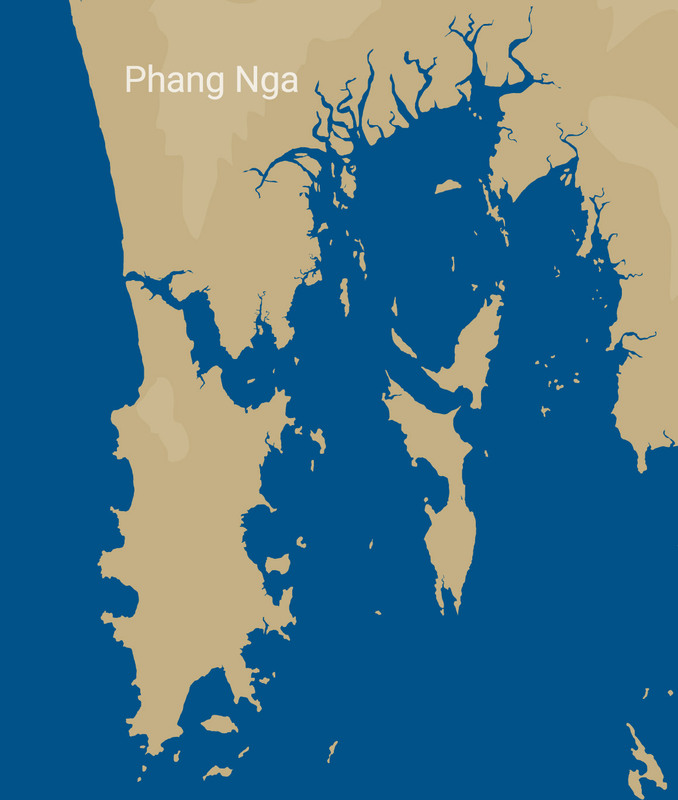 Now we set our course to another island of Koh Hong. Have a stroll along the white sand beach and enjoy a swim with a tropical fish. If the tide is right, get into the tender to explore the fantastic hidden lagoon inside the island, with emerald water and mangroves. 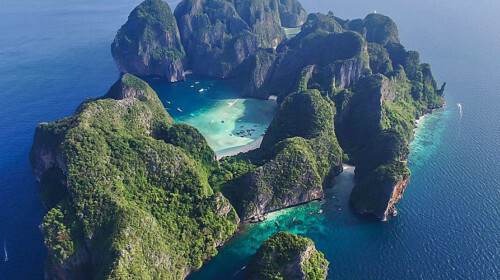 Head further south to the gorgeous little island of Koh Nok. You may spot monitor lizards there and have a short stroll along its white beach covered with unusual shaped shells and corals. 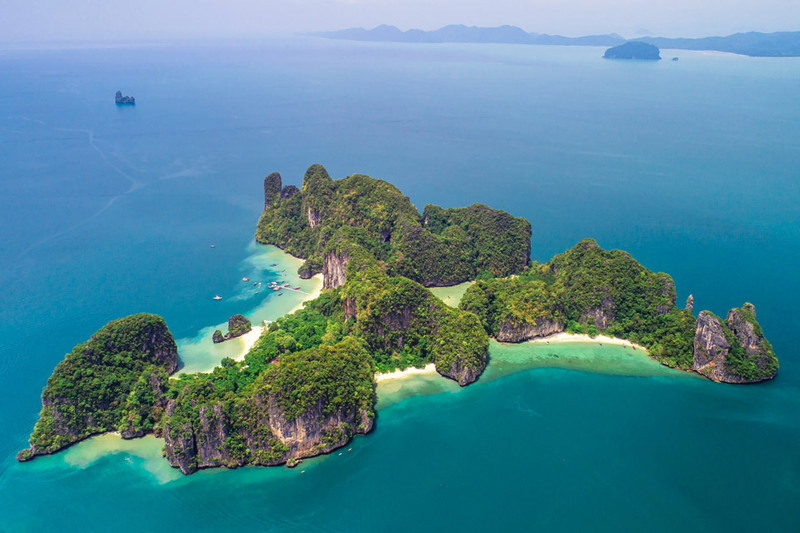 Now when the island hopping adventure around Phang Nga Bay is over it’s time to cruise back to your arrival point and chill out at your hotel room or villa. 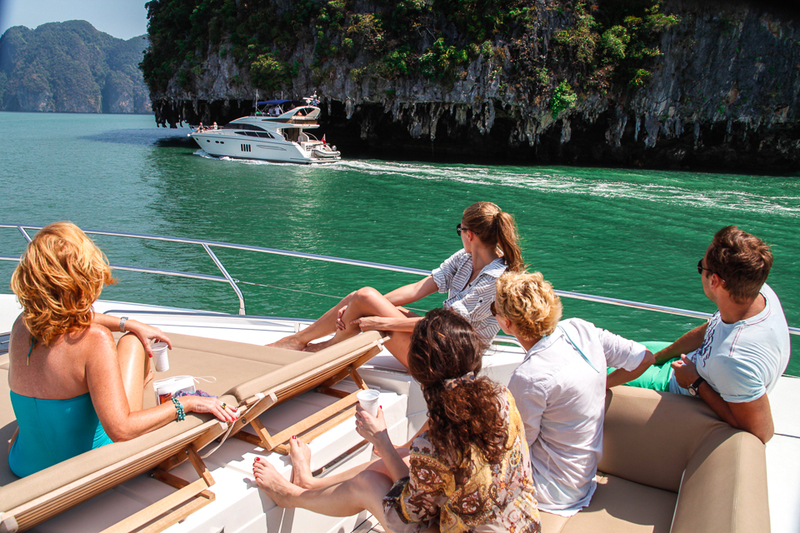 Contact Boat in the Bay to experience the Phang Nga Bay day tour by private yacht. 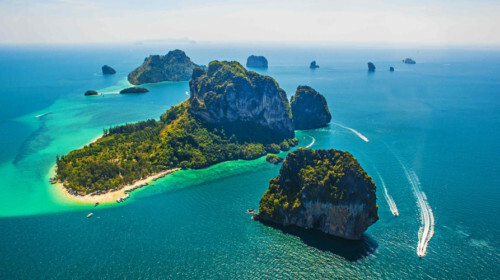 Other options on our 1-day cruise timetable starting in either Krabi or Phuket would be to visit the locations of Krabi Province, the Racha Islands or the Phi Phi Islands, or to cruise around the secluded beaches of Phuket.